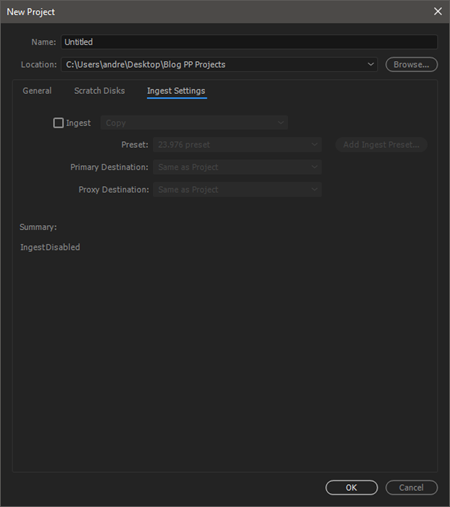 The recent addition to Premiere Pro includes a new tab in the ‘New Project’ dialogue box called ‘Ingest Settings.’ This tab is designed both bring assets into you project AND for the creation of light-weight, or proxy versions of your footage used to make editing faster. 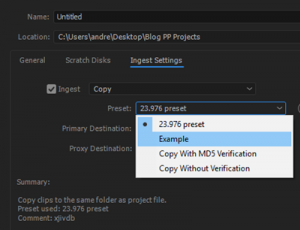 The first option will simply copy your files from one location (say a camera card) to your project folder. Even this choice has options, with the most notable being the ability to import with Verification. 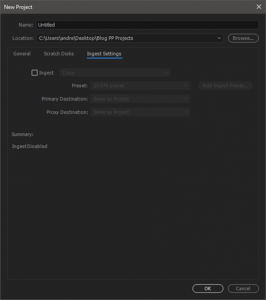 Premiere will examine the copied file and check that is exactly the same as the original. 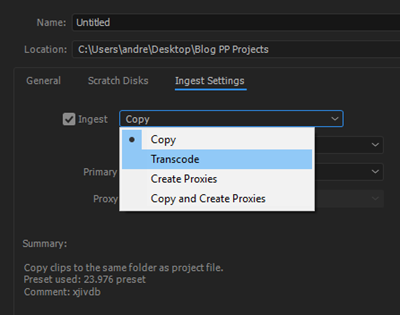 The second main option, ‘Transcode,’ is often used by larger facilities that require the use of a ‘house’ codec. If you choose this option, the media will be changed from the original camera codec to some kind of ‘intermediate’ codec that would be common for all editors in a facility. To do this Premiere Pro launches Adobe Media Encoder to ‘Transcode’ the files into MXF, Avid DNxHD, Apple ProRes, and others. WARNING: There is a danger that you may miss important files in the ingest process inside Premiere Pro because you are only looking for certain files. This means that there could be a time when you think you have all the files you need and the camera card is wiped to be reused and important data is lost. 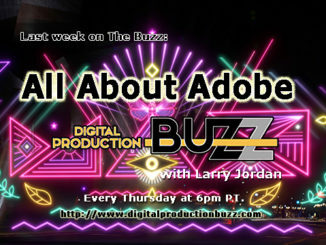 So, if you want to copy and transcode I would suggest using Adobe Prelude, another great app in Creative Cloud, which is designed to accomplish this in a more more organized fashion. Continued in tutorial #69. 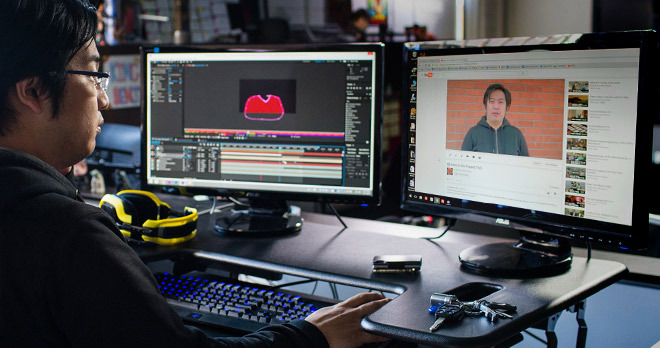 And don’t forget to check out our growing list of Premiere Pro tutorials here.